D.T. Huber is a Baltimore-based Americana singer/songwriter whose songs arrive at truth in an ever-changing, deceptive world. Blending all things folk with outlaw country, blues, and bluegrass, D.T. draws from the deep wells of the American songbook. His songs delve into the minds of characters who struggle with love, joblessness, injustice, addiction, and poverty. It’s a mean old world, but within the struggle there exists immense joy along the way. It’s the balance between darkness and light, a sense of tradition, and a notion that history gives us a deeper sense of ourselves, that are the driving forces behind D.T.’s music. 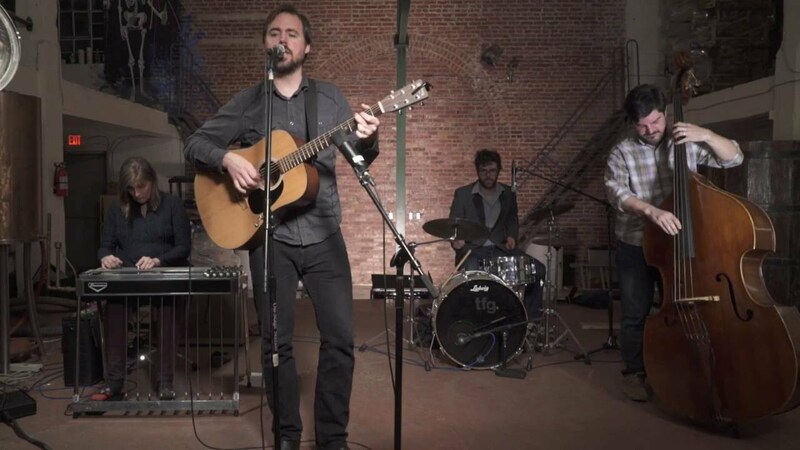 D.T.’s most recent EP, Electric Park, was one of the Baltimore City Paper’s top 10 country albums of 2014, among the likes of Sturgill Simpson, Lucinda Williams, and Caleb Stine. D.T. recorded the EP with Baltimore-based songwriter/producer Paul Masson of The Great American Canyon Band. Electric Park expands on D.T.’s earlier recordings, with lush layers of production pushing the tracks into new sonic spaces where old-time folk songs meet modern sounds. The album’s title refers to Electric Park, an early 20th Century Baltimore Amusement park that was the first place in Maryland to screen motion pictures. Drawing thematic inspiration from the now-demolished park, the EP juxtaposes the old and the new in creative and compelling ways. His previous EP, Scorched Earth, features songs that deal with urban neighborhoods plagued by violence, job loss in rural America, and the heartbreak and chaos of love. Culminating on the last track with a song of forgiveness and faith in loved ones, Scorched Earth captures elements of mountain music, jazz-blues, outlaw country, and folk-rock. D.T. was able to recruit some outstanding Baltimore musicians to play on this record, including Frank Corl (the Seldon Plan) appears on drums, Josh Lebar (Annapolis Symphony) on upright bass, Jon Patton (Midway Fair) on mandolin, and Patrick McAvinue (Audie Blaylock and Redline) on fiddle. D.T. Huber regularly plays venues around in the Baltimore area, including the Metro Gallery, Windup Space, Creative Alliance, and the Ottobar. He has performed at festivals such as the Baltimore Folk Fest, Artscape, and the Cromwell Valley Arts fair. He is also the lead singer and guitarist of the alt-country/folk band Whale Show, and wrote the songs for the band’s 2010 album Caught Between the Highway Blues. When D.T. isn’t performing, he teaches guitar lessons at Huber Guitar Studio. Bob Dylan, Willie Nelson, Tom Waits, Jason Isbell, Leonard Cohen, Sturgill Simpson, etc.